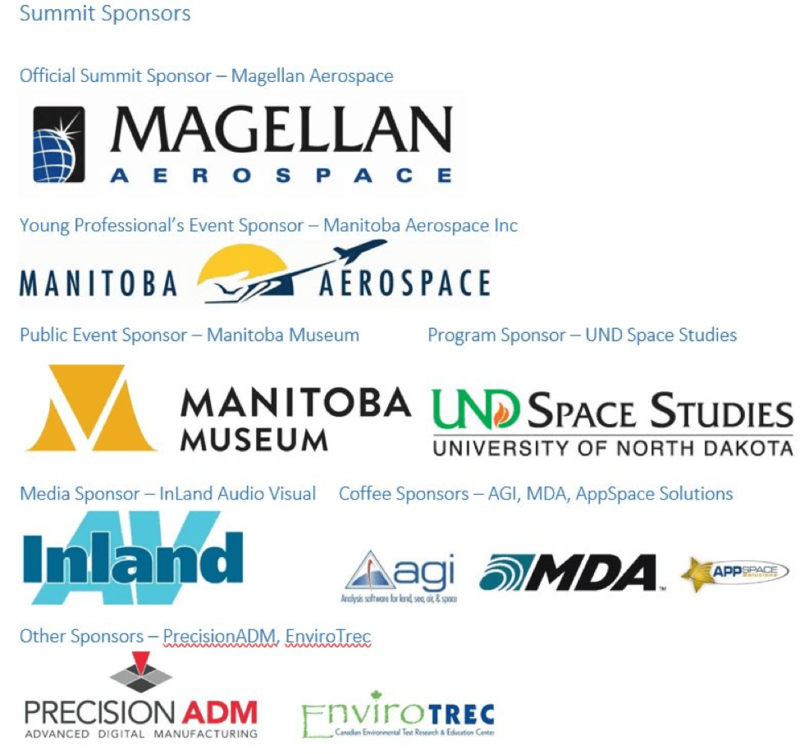 The Canadian Space Summit was hosted by the Winnipeg Chapter of the Canadian Space Society (CSS), during Nov 14 and 15th of this year. 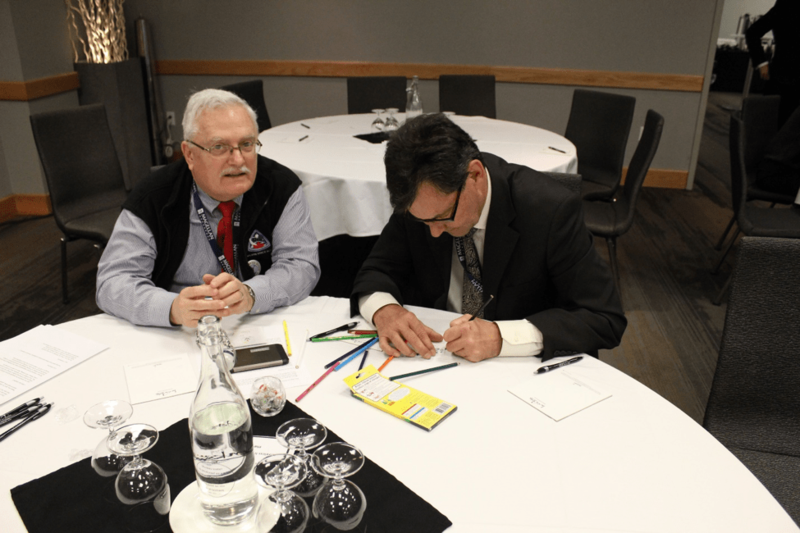 Alfonz Koncan and Brent DePape return to their educational roots and provide a pair of sample drawings which will be boosted into space in the coming year. 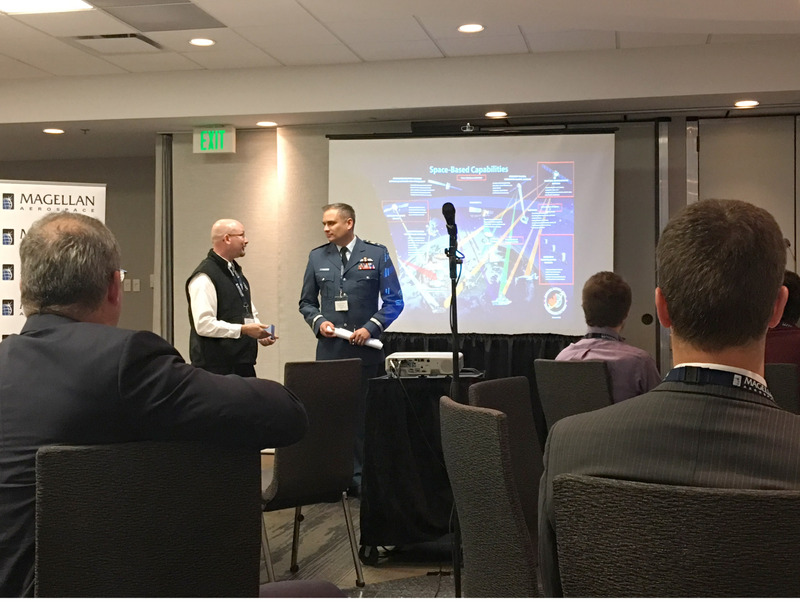 Prior to the start of this Summit, the CSS sponsored a rocket building workshop, tours of a local aerospace company and a presentation of an award-winning play, Mars One, created by Angie StMars and Johanna Burdon, and performed by Johanna Burdon. Wayne Ellis poses a question to Brigadier General Frawley after the General’s presentation. Other keynote speakers Mr Eric Choi (Magellan Aerospace); Brigadier-General Blaise Frawley, Director General Space, DND; Mary Preville, Director General, Policy, Canadian Space Agency; and, Dr. John G. Spray, University of New Brunswick. Amongst our many guests were Dr. Vadim Rygalov of the University of North Dakota – Department of Space Studies. He brought along for the road trip, many of his students who participated in the two days of talks and panel discussions. We hope to make a return trip to UND soon. A brief outline of our speakers and their presentations can be found at this link. 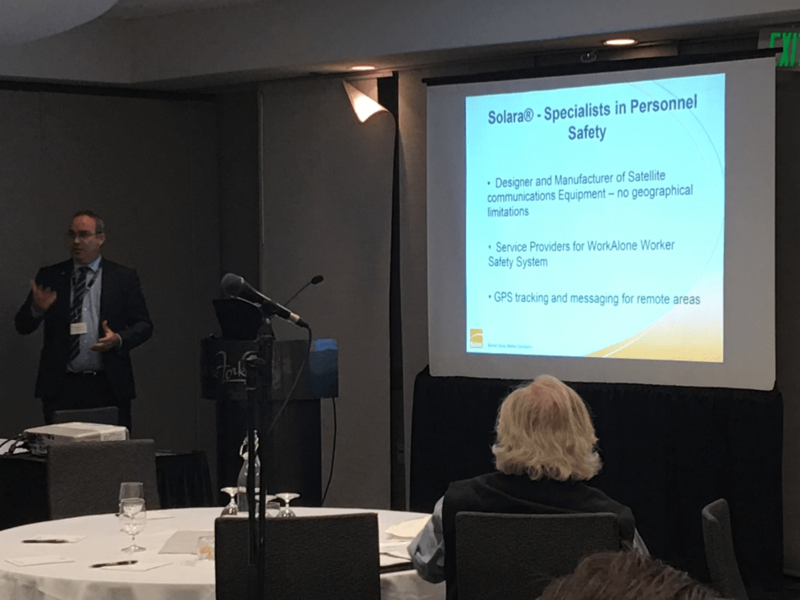 Solara’s Tom Tessier provides an overview of his company’s product which uses satellites to manage workers in extreme environments. Many thanks to our sponsors for having supported this event. (photo below) Thanks also to and to Winnipeg Chapter Lead and Summit Chair – Wayne Ellis for undertaking to organize this event. The volunteer committee was called upon to manage a considerable range of activities over the past year, in order to ensure the success of this Summit. Summit 2017 will take place in Ottawa, Ontario next fall.